A long time ago I saw this paper plate clock (minus the snowman head) on Pinterest. I didn't pin it at the time, but I remember seeing it. 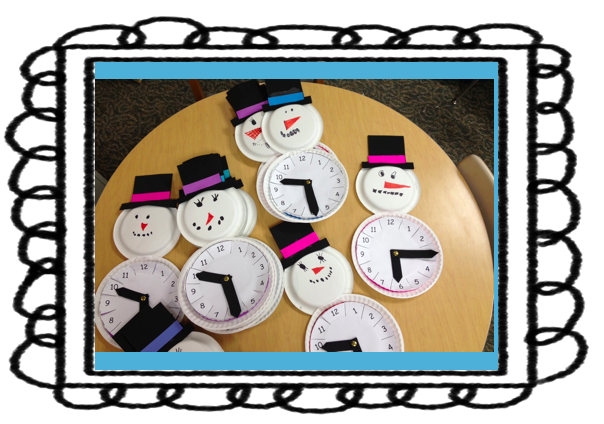 There were two paper plates and under the numbers on the clock were the minutes. I loved that you could just lift the flap to check. Very hands-on for my kiddos! So as I'm trying to teach my firsties about telling time I remembered this little project and thought it was a great way to help kids tell time. 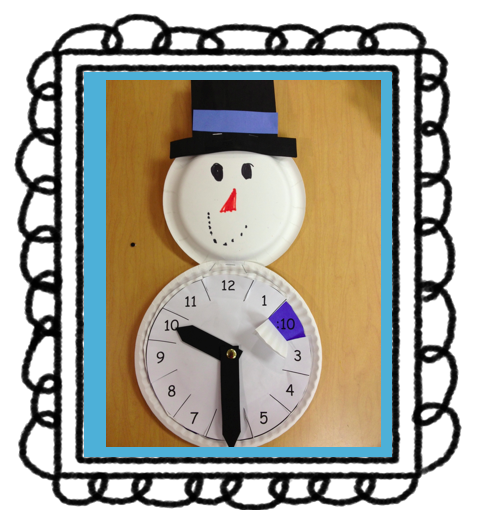 Of course, I've already mentioned how much I love snowmen, so I decided to make it WAY cuter than just a clock. 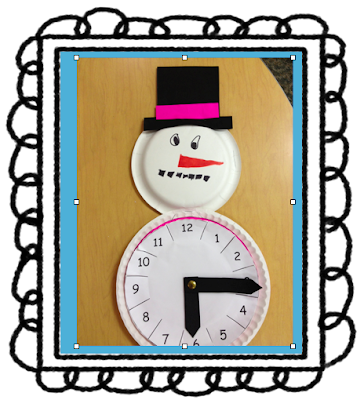 I copied the clock templates (the face of the clock on white paper, but the minutes on colored paper just for fun). Keep reading to download these templates for free! Once they were all put together they turned out SOOOO cute and I love them! However, they were definitely a little harder to put together than I would've liked. I had to put the fasteners on for them of course, but I also had to staple on the head and the hat. The construction paper strips were glued on after I stapled on the foam hat to somewhat cover up the staples. 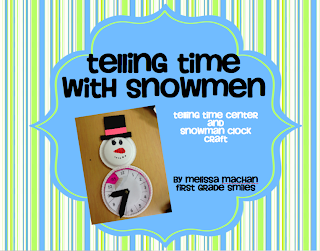 Melissa, you are so creative! I just LOVE these! What a great idea! Just gave this a shout out. Thanks again! 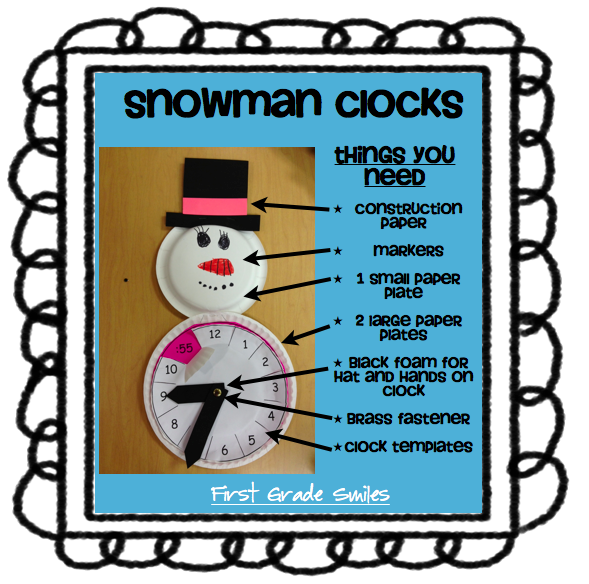 Love these clocks! I pinned it on my Pinterest board. It's a must do!